Sightseeing can be expensive, but luckily there are countless attractions in Sydney that can be enjoyed without ever having to reach for your wallet. For a day full of unrivaled views and the added convenience of several distinct sights in one area, head to Watsons Bay in the Eastern suburbs. Easily reached from Bondi Junction or Bondi Beach by hopping on the 380 bus route, you can also catch a ferry from Circular Quay if you're starting from the CBD. Just to the right of the bus stop is a lookout point offering sweeping views over The Gap, an ocean cliff looking out over the Tasman Sea. Climbing up to the highest vantage point over The Gap lends itself to a view of the sea on the left side with the suburbs of Watsons Bay and Vaucluse stretching out before you and the city skyline to the right. Five minutes' walk away is the relatively secluded Camp Cove Beach. This prime sunning spot is largely overlooked by the majority of tourists, allowing it to remain quiet and laid-back. 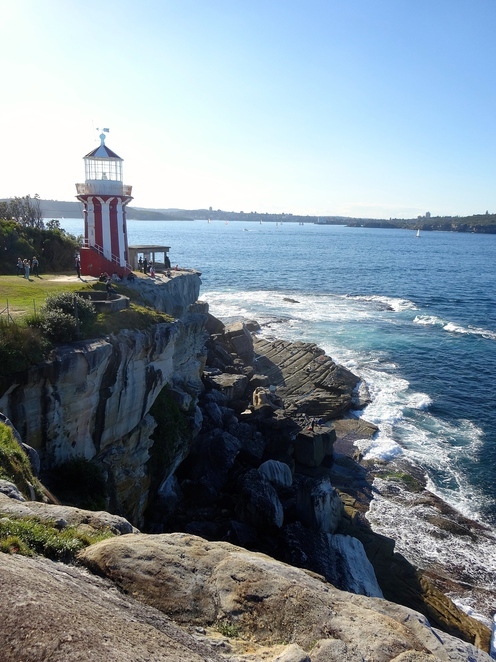 Just past Camp Cove is the South Head Heritage trail, a loop track of just over 400 meters that will lead you to South Head Lookout and Hornby Lighthouse as you enjoy panoramic coastal views. Back in Watsons Bay after your walk, you could check out famous seafood restaurant Doyle's; or, in the interest of keeping things thrifty, pack a picnic and park yourself in one of the many green spots offering great views. A short bus ride away on the 380 route is the Dudley Page Reserve, a green space ideally situated for a panoramic view of the city skyline and harbour. As the Harbour Bridge is only partially visible from Watson's Bay – and the Opera House not at all – this is a great spot to take in everything all at once. Somewhat off the beaten path, many people never take the time to visit this incredible vantage point; but whether you're a family, a couple, or a group of friends on a day out together, you'll be patting yourselves on the back for taking the time to experience it. Just make sure those camera batteries are fully charged.